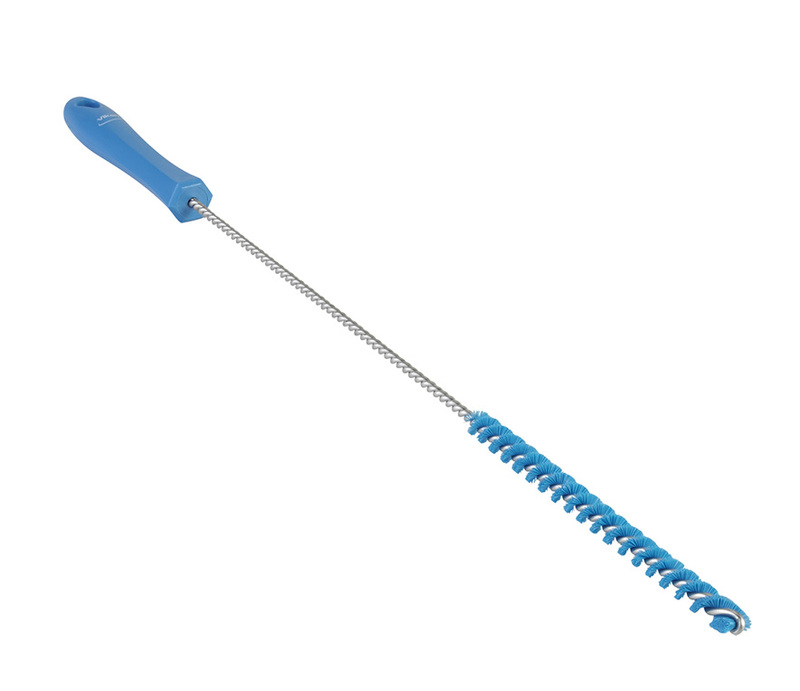 Tube Cleaner, This tube brush is the smallest diameter of the tube brushes. It is used to clean small pipes and very narrow spaces between machine parts. 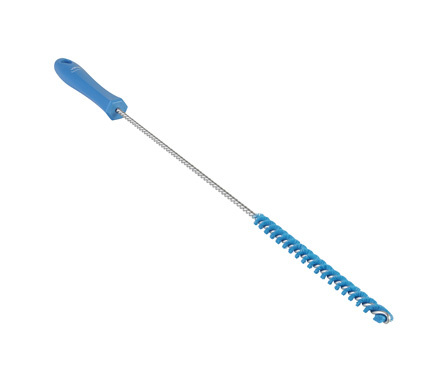 The bristles are attached to a helically wound stainless steel shaft, making it strong and chemically resistant.